The chief characteristics of the smaller cities in this study is that their reputations exceed their size and each of them has considerable potential to grow economically and sometimes physically. 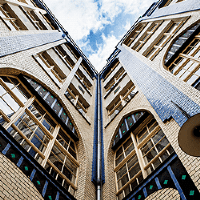 Amsterdam and Brussels are the more expensive of the four cities in which to accommodate both living and working and most of this cost is in residential accommodation. This will tend to put indirect cost pressures on employers in the form of wage demands and the risks of staff relocating to cheaper European cities in which to work. Frankfurt, with its high quality of living and cheaper housing costs looks attractive by comparison. Warsaw, is a very good example of this and enjoys a post-war and post-industrial legacy of ample future development land that many of the more land-constrained European cities would envy. The city currently attracts a very high calibre and linguistically able workforce from the rest of Poland. They provide the workforce for a strong financial and business service industry which serves not just Poland but companies throughout the Eastern European region. 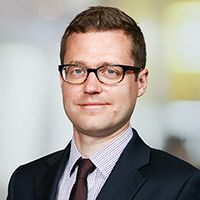 Warsaw has suffered in the past from the emigration of younger workers overseas, particularly to the UK but this has been offset to a large extent by in-migration from other parts of the country. In future, the likely repatriation of some of these émigrés will further strengthen Warsaw’s economy and potential for growth. 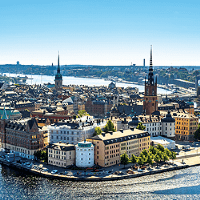 The city has ceased to be a European city competing for jobs and businesses on the basis of costs and now stands out in the region as competing on the basis of quality. The chief challenge for the cities in ‘The Contenders’ group is demography. With the exception of Amsterdam, each score lower than the average European city on this indicator. 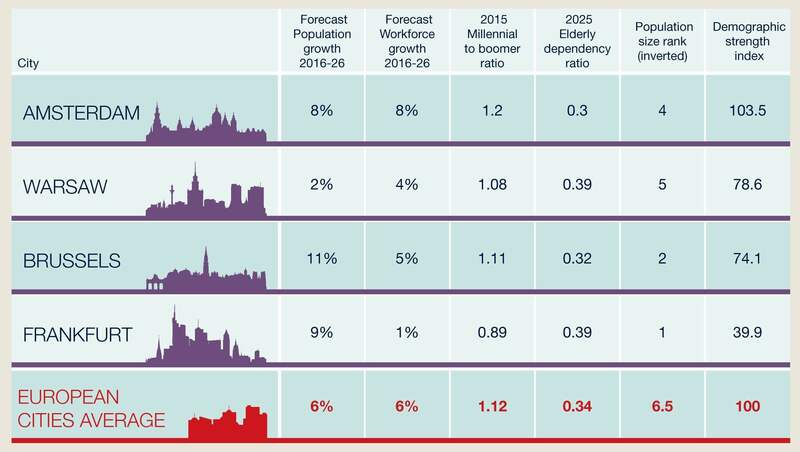 Frankfurt scores extremely low as it is a very small city, beset by low forecast workforce growth, an absence of youthful employees and high elderly dependency ratio. It could be argued that Frankfurt faces the choice of remaining a high quality, highly regarded specialist financial centre, affluent and with a high quality of life or else actively needs to reinvent and reinvigorate itself if it is to grow its economy significantly. The same might be said of Brussels, which is characterised by its strength as host to the European Union with all the economic effects and benefits that provides. It is estimated that 15% of Brussels workforce is employed directly by the EU and another 15% in services associated with the EU. This amounts to a workforce of 3.4 million out of a total of 13 million. Brussels as a city would be threatened by the demise or weakening of the EU but not defeated by it. 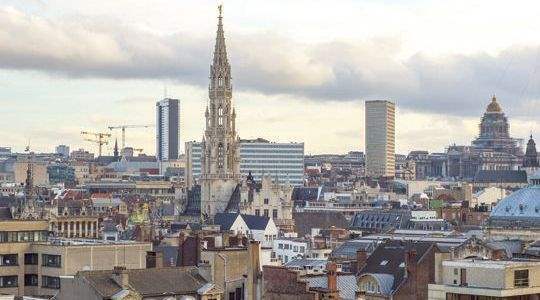 The city also acts as a financial and business services centre for Belgian business and national Administration, in addition to the EU bureaucracy. Amsterdam, we feel, is a strong contender to pick up some business from any Brexit fallout in London thanks to its attraction as a visitor city to which people would be happy to relocate. 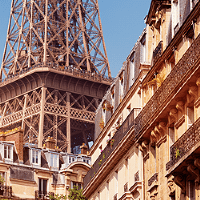 The city’s cultural and recreational attractions belie its small size, and alongside Paris, bear comparison to London. Its major obstacle to growth will be land availability, but sophisticated planning approaches and good public transport systems increase the likelihood that this can be overcome. In cities which themselves are dynamic and growing, spotting the individual neighbourhoods within the city that will out-compete and grow most can be very difficult. All of the Contender cities have potential to grow significantly so the game is spotting the next most successful development. Given the way global cities are developing and looking at the neighbourhoods with the most successful economies, we think that the new schemes which combine a variety of property uses, size and types of building in an intense urban streetscape are likely to be more successful than single-use out of town type business campuses. 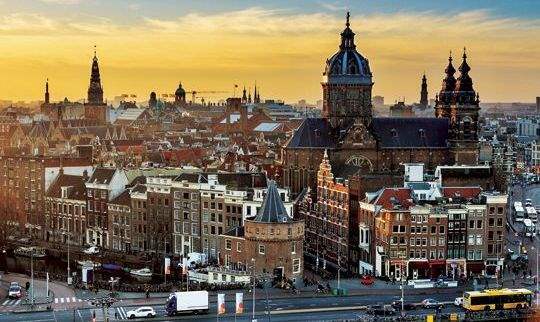 Amsterdam is flourishing, attracting more tourists and young talent moving to the city. Retail turnover is growing substantially and house prices are skyrocketing, so the municipality is doing everything it can to accelerate residential development. Companies have also been attracted, so increased office take-up has caused a substantial drop in vacancy rates to below 5% in the city centre and South Axis. 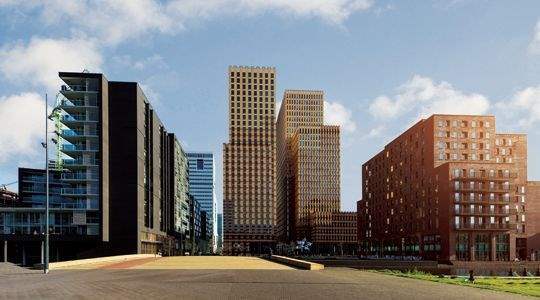 In 2016, a large number of global companies put their headquarters in Amsterdam and new leases or expansions from Google, LinkedIn, Netflix and Snapchat make Amsterdam a premier destination for tech and media companies. Amsterdam’s city centre has immense pulling power as vibrant city life is an enormous asset in the battle to attract and retain talent. Locations close to stores, bars, restaurants and public transport are winning and often valued over affordable city edge locations. Amsterdam’s capability to build a popular, authentic city adds value and is something that many world cities could learn from. The big story in Brussels over the last three years has been the number of offices that have been converted to residential use. We estimate that 1% of the total office stock is lost each year in this way – so vacancy rates are falling as a result. 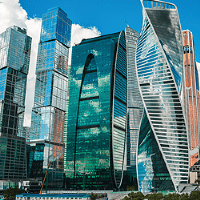 Office occupier demand is robust in the centre of the city while at the same time there are strong taxation incentives for some companies to relocate to the periphery, for example near the airport. This means that offices are most likely to become vacant and available for conversion in an ‘inner ring’, accessible to metro stations and within easy reach of the centre. Demand for the reasonably priced apartments that can be built on such sites is high especially among young people, so these zones will tend to become increasingly residential. 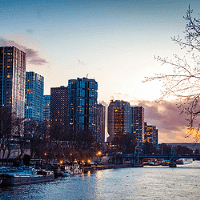 Demand is also strong for serviced apartments, which cater to the short term accommodation needs of some workers and visitors to the EU in that sector and, at the high end French company owners needing residence in Belgium to avoid French capital gains tax. Accommodation in this sector can be hard to find because of restrictive planning. 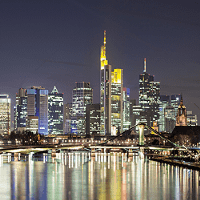 Frankfurt is a small and highly specialised financial centre which benefits from the presence of the European Central Bank and other international financial institutions. 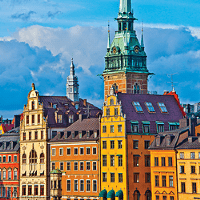 It is threatened by the relative demise of traditional financial industries, but it has the opportunity to make a virtue of its specialism by embracing digital technology and becoming Europe’s capital of FinTech. Frankfurt’s advantage when reinventing itself will be its high quality of living ranking plus relatively low real estate costs. It is particularly attractive to families looking for a compact, safe and liveable city with good schools. It may attract some European tech and financial sector repatriates from London post-Brexit. The city’s latest trend is new, mixed-use towers in central areas to accommodate the worldwide desire for city centre living and working. Demand from investors remains high, which is good news for occupiers as it means that future supply is assured. Numerous developers are reacting to strong demand by securing themselves a place in the Frankfurt skyline. 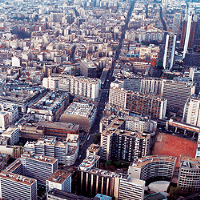 There are twenty new office and residential towers due to appear over the next five years. 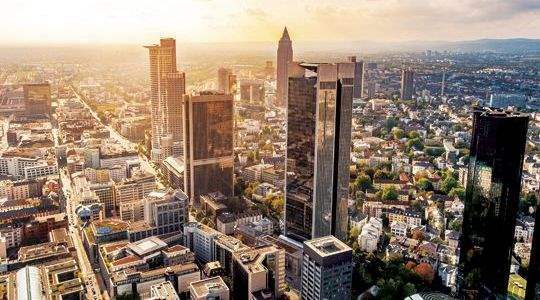 If Frankfurt can continue to reinvent itself as a great living and working environment at the cutting edge of specialist FinTech, it will continue to flourish as a European financial centre. 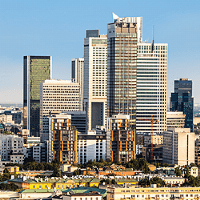 Warsaw is different to the other European cities in many respects. Its fast development has left other Eastern European rivals behind. 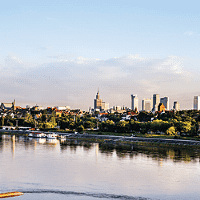 No longer seen as just a cheap offshoring alternative for back room functions, Warsaw has become an attraction in its own right – a well-connected, thriving business-friendly city with a skilled workforce, deep labour market and high per head GDP. It offers low cost shared service centres for other European markets and also increased profitability, planned expansion and an educated workforce. Offices and overall accommodation costs are still considerably cheaper than its nearest rivals, so affordability is not an issue but it can offers the same quality of financial and business services. 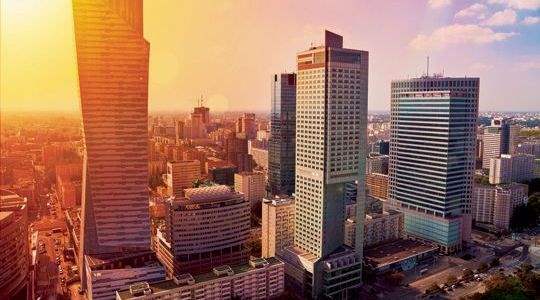 Warsaw is the fastest growing office market in Europe with five million sq m and one million sq m due to be added in the next five years. This helps make it a high growth and dynamic business employment city. Changing market conditions mean tenants have migrated from both outside and within the city in the past two years. Most of its office stock is in buildings over 10 years old, some of which can be described as obsolete. There will be opportunities for refurbishment and reconfiguration in good locations. Infrastructure improvements like the underground extension, new ring roads and tram lines will open up new investment and development opportunities. Already the opening of a second metro line and new tram lines have improved districts such as Wola for example.